Home Decor Blog » Which quilt is best for me? With so many choices in bedding it’s hard to choose what is best to suit your sleeping needs. So how do you decide ‘which quilt is best for me? Do you like the feel of a quilt that is light on your body and suitable for use all year round? Or do you prefer to have a heavier quilt for winter and a lighter option for the summer months? For the winter months a wool quilt can be ideal. 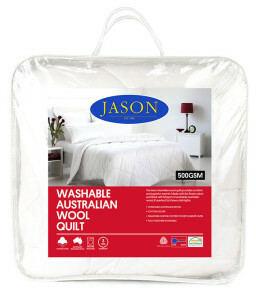 Try the Jason Australian wool quilt/500GSM. This Australian wool quilt provides comfort and superior warmth. Made with the finest cotton percale cover, filled with 500gsm of washable Australian wool, its perfect for those cold nights. Machine washable, and quilted pattern to keep warmth even. 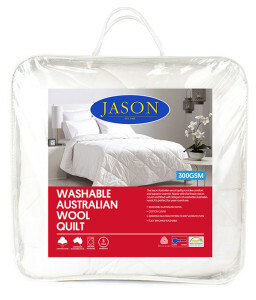 If you love the idea of wool but find it a little warm, the Jason Australian wool quilt/300GSM can be a great alternative. It has all the benefits and breathability of wool, but has a little less filling so is not as warm through the summer months and can be used all year round. With superior comfort and warmth and the finest percale cover the Jason Australian wool quilt will have you sleeping soundly. Machine washable, and quilted pattern to keep warmth even. Warmer months either a light Australian wool quilt can be ideal, (See Jason Australian wool quilt 300GSM) or an Australian cotton quilt. 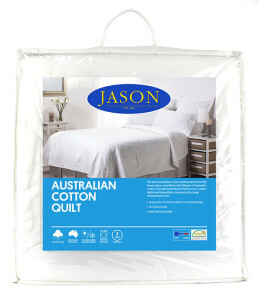 For the warmer months or if you are a hot sleeper, the Jason Australian Cotton Quiltis a great option. Fully machine washable, cotton percale cover and filled with 250GSM of Australian Cotton this quilt is perfect for Australian nights and beautifully constructed to keep temperature even. 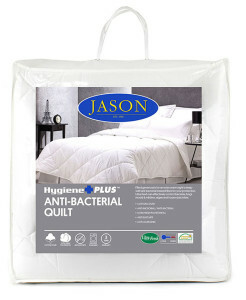 The Jason Anti-Bacterial Quilt is filled generously for an extra warm night’s sleep, suitable for all year round use the anti-bacterial treated fibre can effectively control bacteria, fungi, mould & mildew, algae and house dust mites. Low allergenic and machine washable, the Jason Anti-Bacterial quilt has a cotton cover for extra comfort.